The marketplace for the pharmaceutical industry is the human body - but only for as long as the body hosts diseases. Thus, maintaining and expanding diseases is a precondition for the growth of the pharmaceutical industry. A key strategy to accomplish this goal is the development of drugs that merely mask symptoms while avoiding the curing or elimination of diseases. This explains why most prescription drugs marketed today have no proven efficacy and merely target symptoms. To further expand their pharmaceutical market, the drug companies are continuously looking for new applications (indications) for the use of drugs they already market. For example, Bayer’s pain pill Aspirin is now taken by 50 million healthy US citizens under the illusion it will prevent heart attacks. Another key strategy to expand pharmaceutical markets is to cause new diseases with drugs. While merely masking symptoms short term, most of the prescription drugs taken by millions of patients today cause a multitude of new diseases as a result of their known long-term side effects. For example, all cholesterol-lowering drugs currently on the market are known to increase the risk of developing cancer - but only after the patient has been taking the drug for several years. The known deadly side effects of prescription drugs are the fourth leading cause of death in the industrialized world, surpassed only by the number of deaths from heart attacks, cancer and strokes (Journal of the American Medical Association, April 15, 1998). This fact is no surprise either, because drug patents are primarily issued for new synthetic molecules. All synthetic molecules need to be detoxified and eliminated from the body, a system that frequently fails and results in an epidemic of severe and deadly side effects. 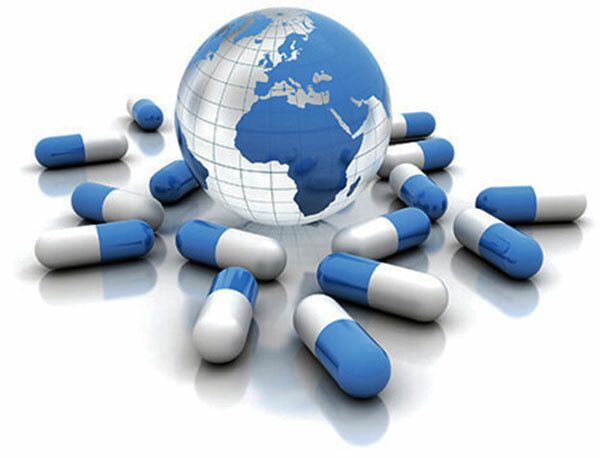 While the promotion and expansion of diseases increase the market of the pharmaceutical investment industry. Prevention and root cause treatment of diseases decrease long-term profitability. Therefore, they are avoided or even obstructed by this industry. Worst of all, the eradication of diseases is by its very nature incompatible with and diametrically opposed to the interests of the pharmaceutical investment industry. The eradication of diseases now considered as potential drug markets will destroy billions of investment dollars and eventually will eliminate this entire industry. Vitamins and other effective natural health therapies that optimize cellular metabolism threaten the pharmaceutical "business with disease" because they target the cellular cause of today’s most common diseases - and these natural substances cannot be patented. Vitamins and other effective natural health therapies that effectively prevent diseases are incompatible with the very nature of the pharmaceutical "business with disease." Discrediting natural health therapies. The most common way is through global PR campaigns organized by the Pharma-Cartel that spread lies about the alleged side effects of natural substances - molecules that have been used by Nature for millennia. The pharmaceutical "business with disease" is the largest deception and fraud business in human history. The survival of the pharmaceutical industry is dependent on the elimination by any means of effective natural health therapies.